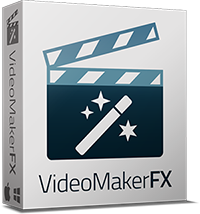 Incredible New Video Creation Software for Marketers & Offline Businesses. Take Your Videos To A Whole New Level! Engages Your Audience! Boosts Your Sales & Conversions! Profit from Your Videos Or Sell Them. It's Up to You! NO Monthly Fees. NO Annoying Watermarks, NO Costly Software or Months Learning! VideoMakerFX is simply incredible! Hands down the best most simple video animation software that I have ever used! This product is created and sold by Peter Roszak, the product's vendor.